Frustrated by slow progress towards the process of implementing fair living wages in the apparel supply chain, Swedish fashion retailer Hennes & Mauritz has decided to take matters into its own hands. Its goal is to pay what it describes as a "fair living wage" to some 850,000 workers in its clothing supply chain by 2018 - a move that in its own words "takes the wage issue to the next level." Working in Bangladesh and Cambodia with three of its best suppliers - where the company has committed to take 100% of production for five years - H&M will look at the best way to implement a living wage that covers workers' basic needs. From this, it will establish "best practice examples to set the standard for the whole industry," which will be rolled out to 750 factories producing around 60% of its products by 2018. "It has always been our vision that all textile workers should be able to live on their wage," the company said. "We believe that the wage development in production countries, which is often driven by governments, is taking too long. 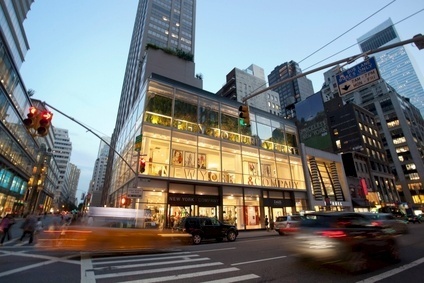 "H&M wants to take further action and encourage the whole industry to follow. With size comes responsibility and we have the ability to contribute to a positive change." The concept of a living wage isn't new, of course, but the enormity of the challenge of setting concrete and measurable steps across the supply chain means there are few examples where real practical progress has been made. First and foremost, there is no internationally recognised living wage that meets basic needs and provides some discretionary income, with workers' requirements differing from region to region, and even factory to factory. Efforts to try to calculate the living wage also highlight the wide gulf that exists between perceived needs and existing pay. 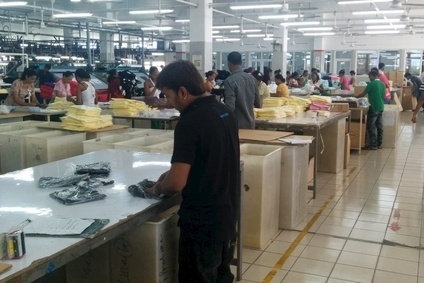 For Bangladesh, the Asia Floor Wage Alliance calculates the current minimum wage is just 11% of the estimated EUR259.80 (BDT25,687) living wage. While Cambodian garment workers earn just 21% of the recommended EUR285.83 (KHR1.58m) living wage. 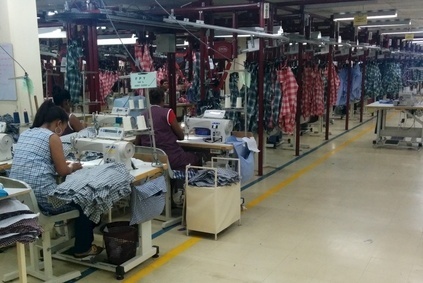 Another challenge is that with buyers very rarely taking 100% of a factory's capacity, a collaborative approach with other brands and retailers is crucial to the implementation of a fair living wage. Costing models also need to be adjusted; suppliers encouraged to pay higher wages, perhaps by focusing on improved productivity and better efficiencies; and of course buyers need to change their behaviour too. The challenge of costing for a living wage was tackled in depth on just-style last year. Often, it is last-minute changes by customers that result in extra overtime to meet deadlines - but delays further along the line in raw material deliveries or quality issues, as well as disruptions caused by strikes or power cuts, can also impact workers too. As part of its four-pronged approach to the living wage issue, H&M will work with factory owners to develop pay structures that enable a fair living wage, ensure correct compensation and overtime within legal limits. The strategy will be based on the Fair Wage Method developed by Daniel Vaughan-Whitehead, professor of corporate social responsibility at Sciences Po in Paris, and manager of wages and incomes policy at the International Labor Organization (ILO). Crucially, it ensures workers' wages are negotiated and reviewed annually according to both price increases and performance - with the process involving democratically elected trade unions or worker representatives. Next, H&M also plans to change its own buying practices, costing in a living wage when it negotiates prices, so that suppliers can pay workers properly and reduce overtime. The retailer also says it will also improve its own purchasing plans to reduce production peaks and troughs - and the accompanying need for overtime to meet deadlines - and enable factories to better prepare the right capacity. And it believes there is a role for governments to play in helping identify a living wage level, set a legal minimum wage, and review wages annually. And for workers at its supplier factories - who will ultimately have a key role in negotiating and reviewing the pay process - H&M wants to ensure access to education, training, and collective bargaining skills. Pressure on brands to improve working conditions in the apparel supply chain has intensified since the collapse of the Rana Plaza factory complex in Bangladesh in April, killing almost 1,130 garment workers. But the tragedy also proved to be a catalyst for industry-wide initiatives to drive change. While H&M was not a customer of any of the factories in the Rana Plaza building, it was the first brand to sign up to the Accord on Fire and Building Safety, a collaborative effort between buyers, trade unions and workers. The retailer, which sources around 80% of its products in Asia, is initially focusing its efforts in Bangladesh and Cambodia - where garment workers earn some of the lowest wages in the world. In Bangladesh the monthly minimum wage is currently US$39, while in Cambodia it is US$80. While new minimum wage of BDT5,300 (US$68.17) is set to come into force from 1 December this year in Bangladesh, this would still leave workers at one of the world's lowest levels. The 77% pay rise has also led to violent protests by workers who want their pay increased to BDT8,114 (US$104.36). "More than 90% of the textile workers at our suppliers' factories in Bangladesh earn more than the minimum wage, but too many still earn too little," the company says. It has already urged the governments in both countries to raise the minimum wage and revise it annually. "We believe that the textile workers themselves know what wages they need. The roadmap provides the workers with tools they need to negotiate their own wage and we will stay and support this process." Exactly what the fair living wage paid by H&M will be remains to be seen. But whatever the outcome, the retailer emphasises it won't have a negative impact on the price of its products. 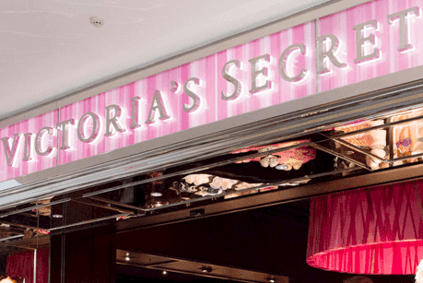 "Wages are only one of several factors influencing sourcing costs and prices in our stores," the company says, adding: "We are willing to pay more so that the supplier can pay higher wages. "It is a collaboration between H&M and our suppliers. We believe that our purchasing practices will lead to better efficiency and productivity. Long term this will be beneficial for both us and our suppliers." "The minimum wage should be seen as the floor, not the roof."